Boston is among the most competitive industrial real estate markets in the country. It is seen as a prime location with opportunities for both investors and tenants due to its positive market fundamentals and bourgeoning sectors, such as: biomedical, healthcare, education, technology, and finance. Demand for industrial real estate in the Greater Boston area remains high, especially for well-situated distribution spaces and high-end manufacturing spaces. Led by the expanding biopharmaceutical industry, tenants have absorbed a total of 8.9 million SF of industrial space over the last 6+ years (since 2012). 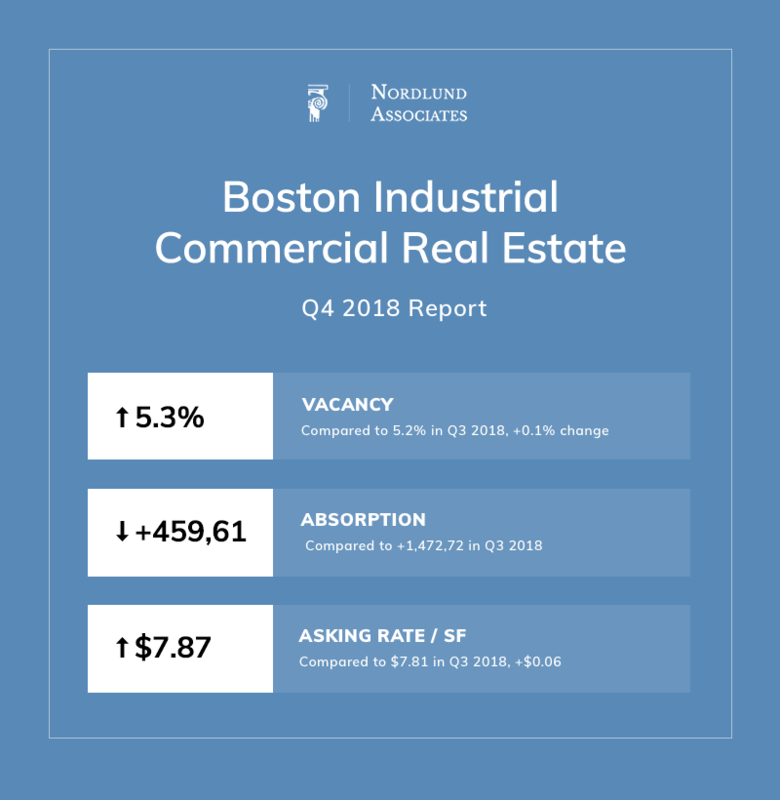 The overlying theme in Q4 2018 is how tight the industrial real estate market is north of Boston. This is specifically illustrated by the stats listed for the industrial real estate properties in the North Shore area. “Over the past few years industrial real estate has become increasingly competitive, vacancy rates have steadily declined to a low single digits number in Metro Boston and the suburbs surrounding, thus driving prices upward with this lack of inventory. We’ve seen these factors create an opportunity for new construction & development, firms willing to develop property or scrape existing dated structures, that were previously considered prohibitive due to incurring higher construction costs. 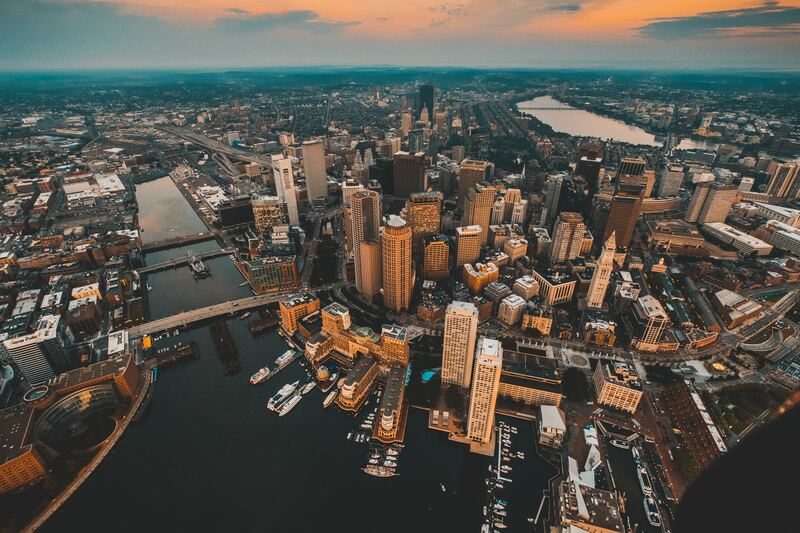 There are several driving factors which have played a role in this scarcity, Greater Boston and the suburbs have one of the most dynamic & diverse collection of industries such as Healthcare, Tech, and Education. The rise of E-Commerce, the retail model and it’s relationship with consumer has changed tremendously over the last five years, creating opportunity for fulfillment centers as well, with their shipping & receiving demands.” – Kevin Olson, Nordlund Associates Inc.
Nordlund Associates conducted a study of industrial and flex space properties within a 10 mile radius of North Shore Massachusetts to get a better idea of this specific zone in contrast to the whole Boston metropolitan area. Although rates are a bit higher around North Shore ($8.22/ SF vs $7.87/SF) on average, the vacancy rate is also lower by over 50%: 2.5% vs 5.3%, respectively. The big takeaways are the availability rate at 4%, which is less than that of the 5-year average rate (5.5%), and the average months on market at nearly 1/3 of the 5-year average, 9.7 months compared to 14.7 months respectively. 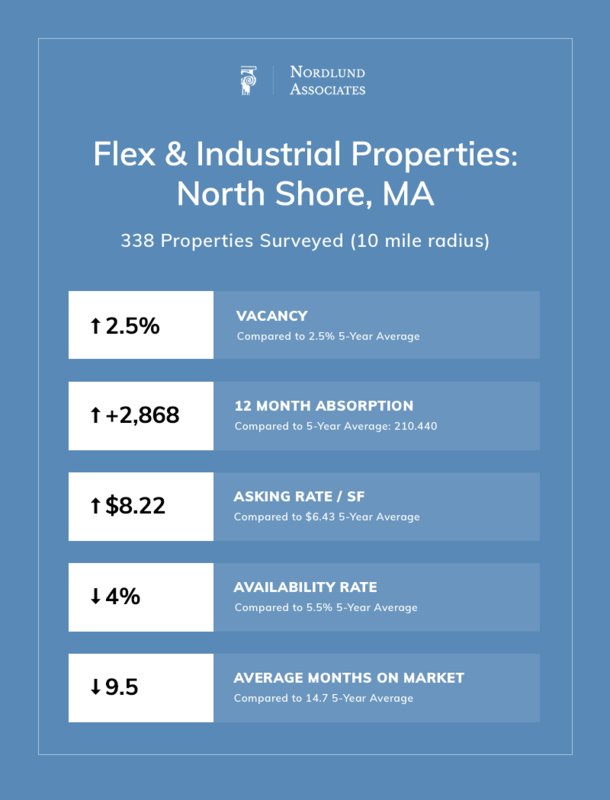 These help illustrate how tight the industrial/ flex market is in the Massachusetts’ North Shore area and how quickly inventory is moving.